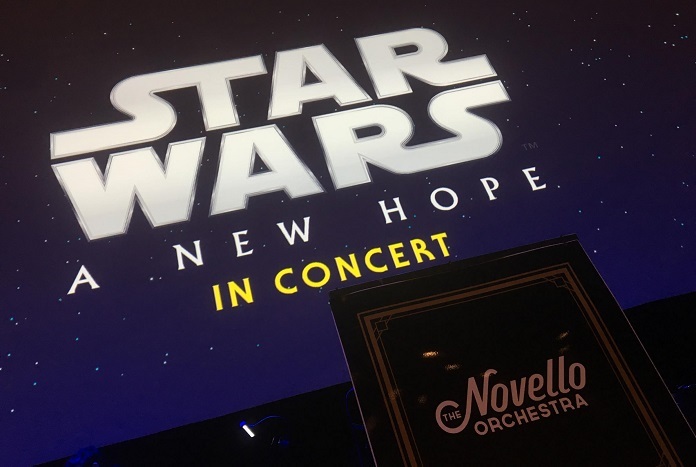 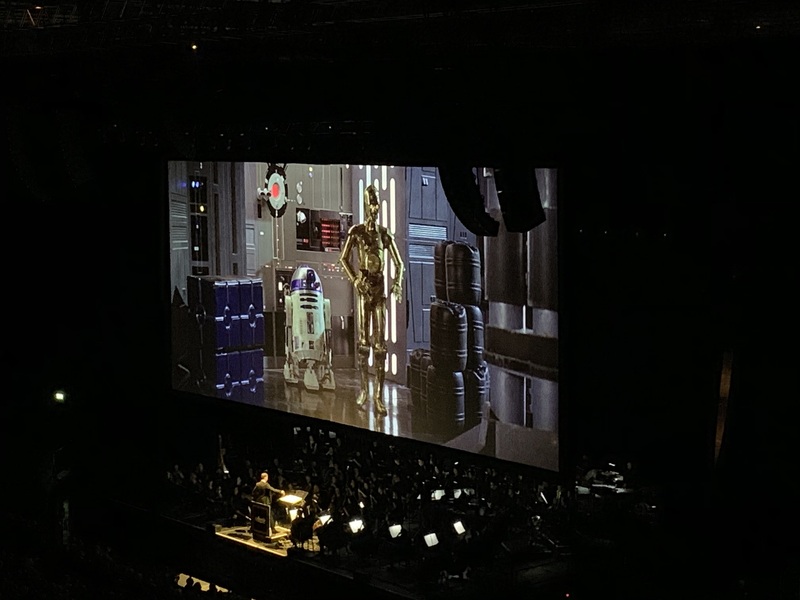 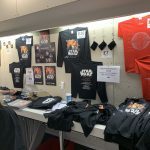 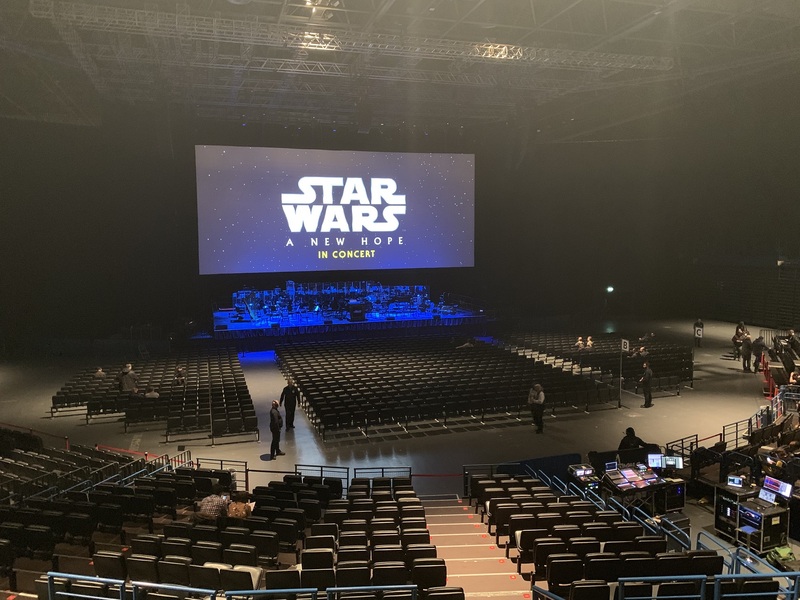 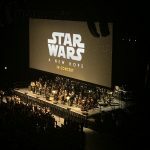 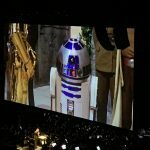 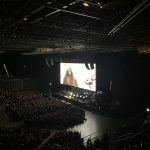 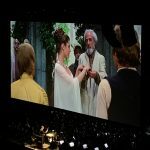 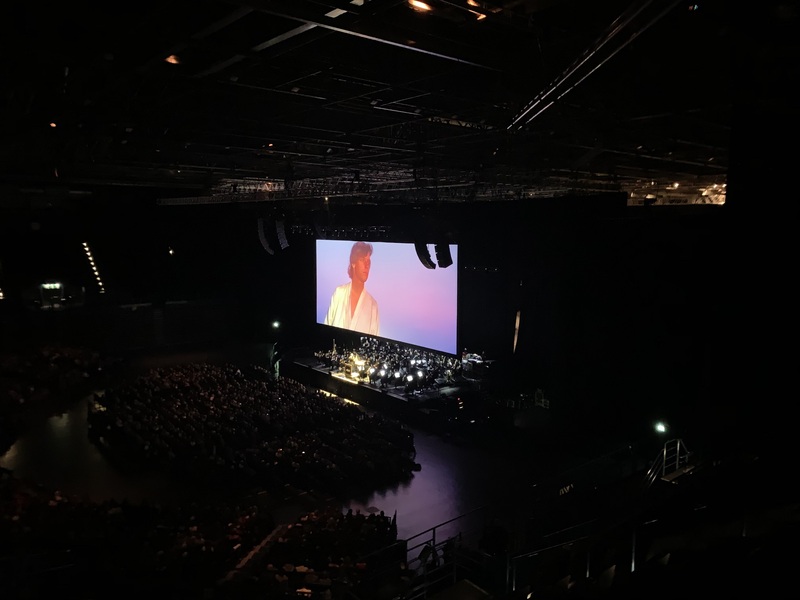 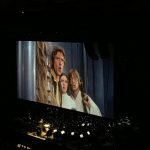 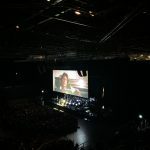 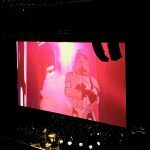 When the announcement was made that The Novello Orchestra was to tour the UK and bring the score of John Williams to a showing of Star Wars: A New Hope, I must admit I got a little excited. 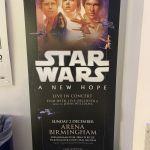 Arena Birmingham is a place I know well, but it is the first time I’d attended an evening of this nature there. 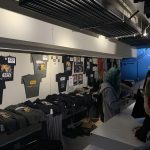 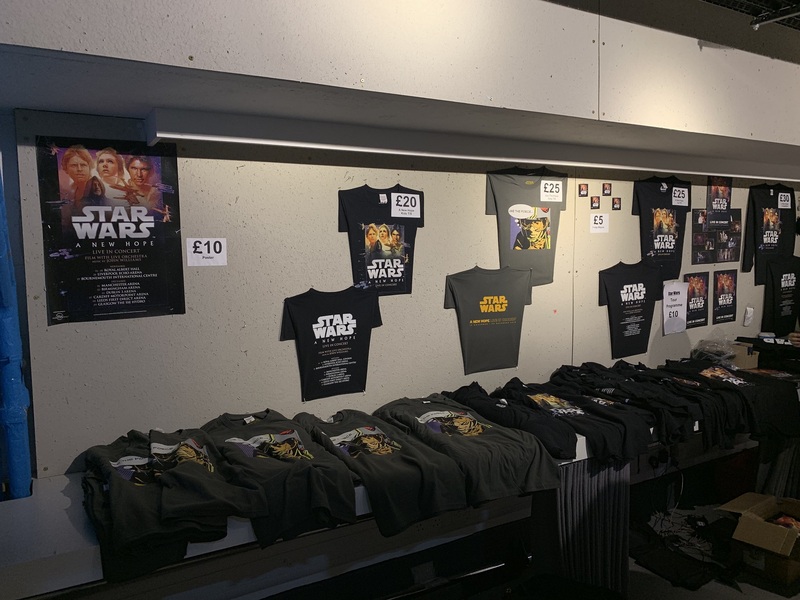 The merchandise stands were busy from the doors opening and the range of items on sale was very good. 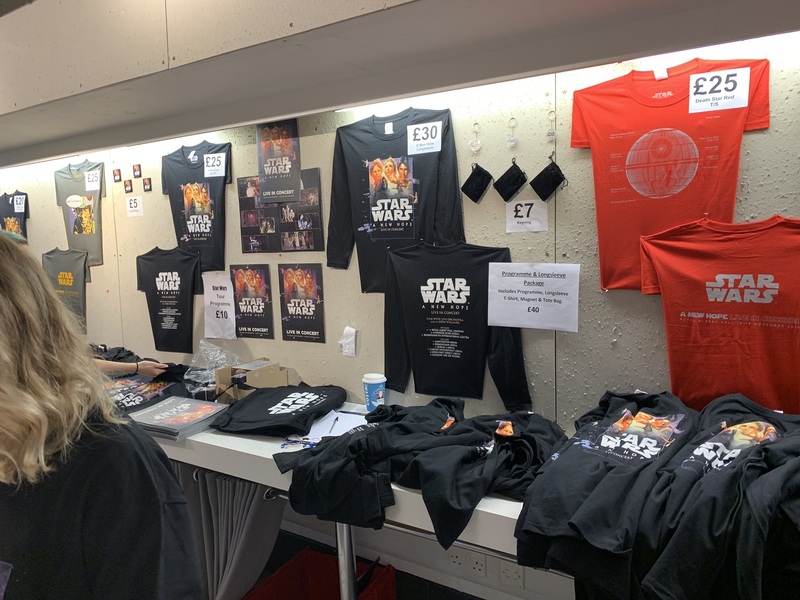 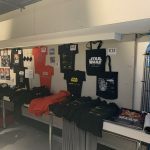 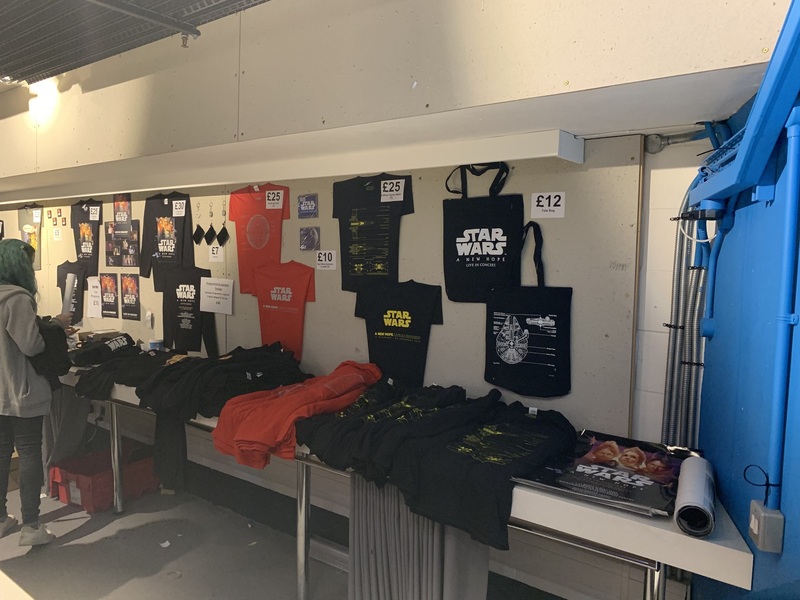 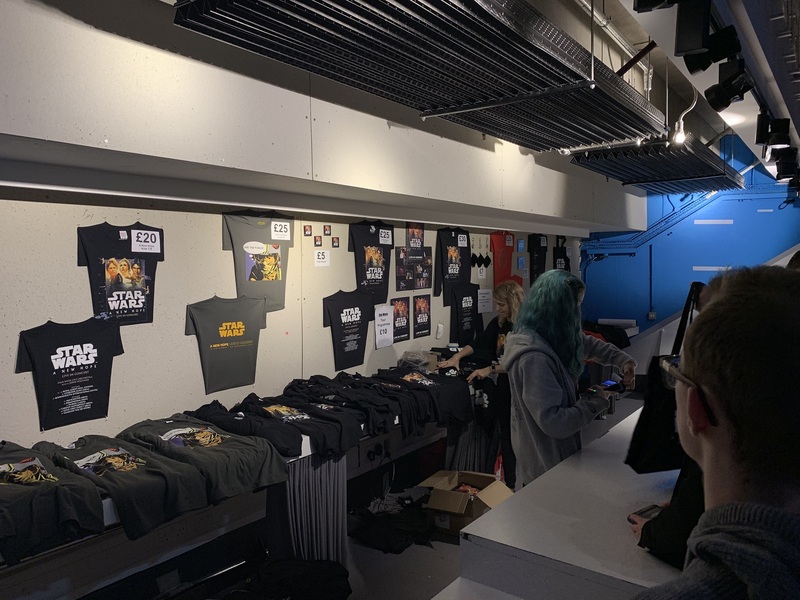 Ranging from tour tee’s, programmes, CD’s, shopping bags to fridge magnets, I think most Star Wars fans needs were catered for. 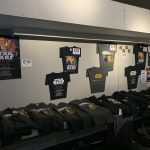 Compared with some other music concerts I’ve been to, I think the prices were a little more palatable. 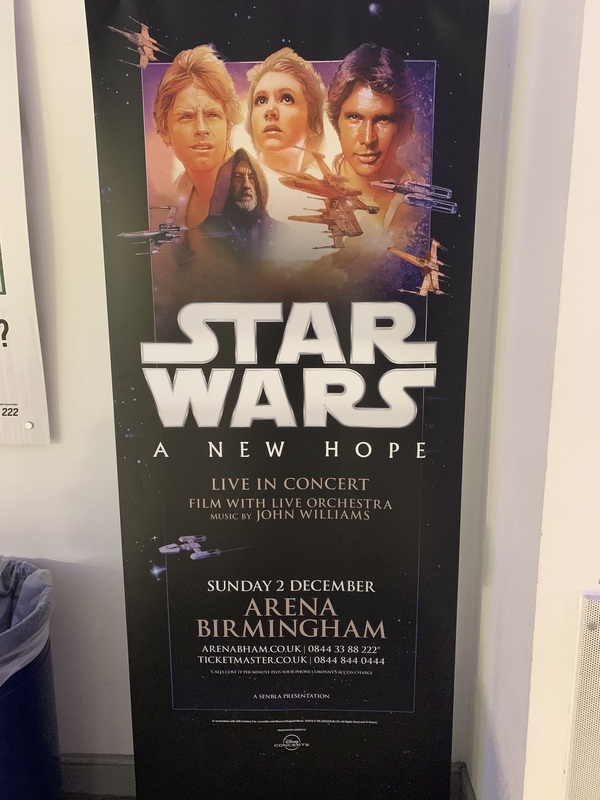 I decided to pick up the tour programme. 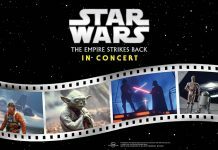 This is a lovely brochure giving an in-depth insight in to John Williams and the soundtracks of the original trilogy. 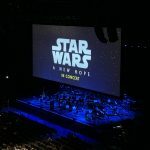 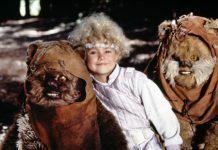 I think we’ve all seen a Star Wars film in the cinema and know the atmosphere it creates, but there was something special in the air. 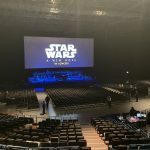 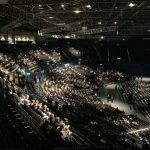 With around 3000 fans filling the seats the air of anticipation and excitement could be felt for the near sold out performance. 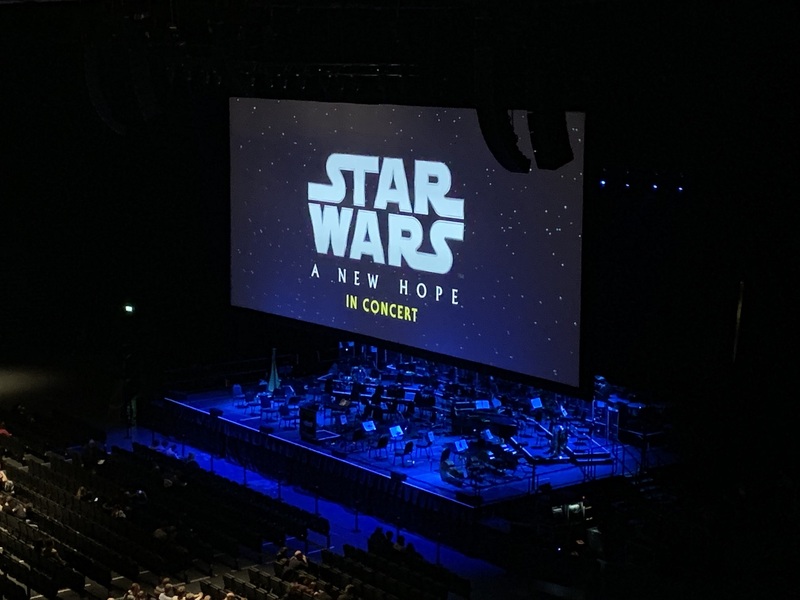 As the orchestra went through their warm ups, you could hear little bursts of what was to come as individual musicians practiced their pieces. 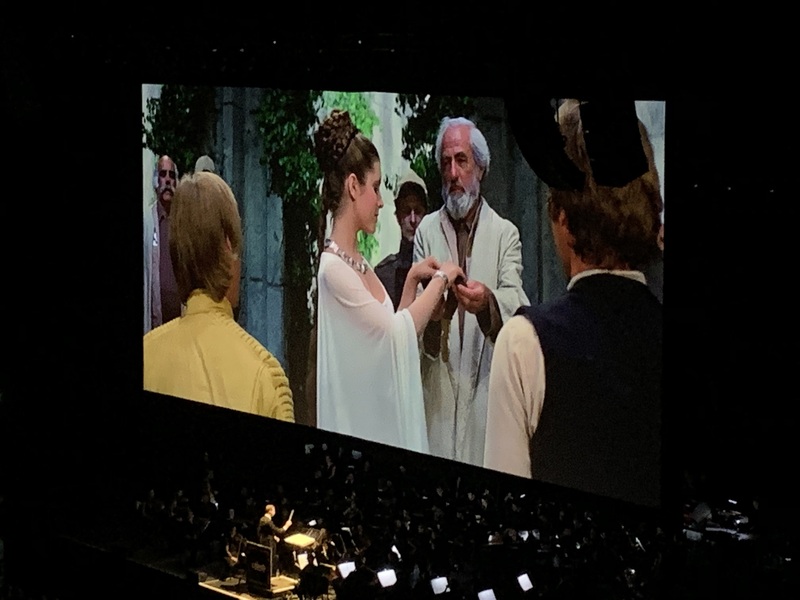 Then the moment came that we were all waiting for. 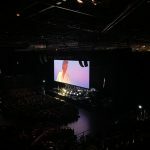 The lights dimmed and David Mahoney the conductor entered the stage to a round of applause. 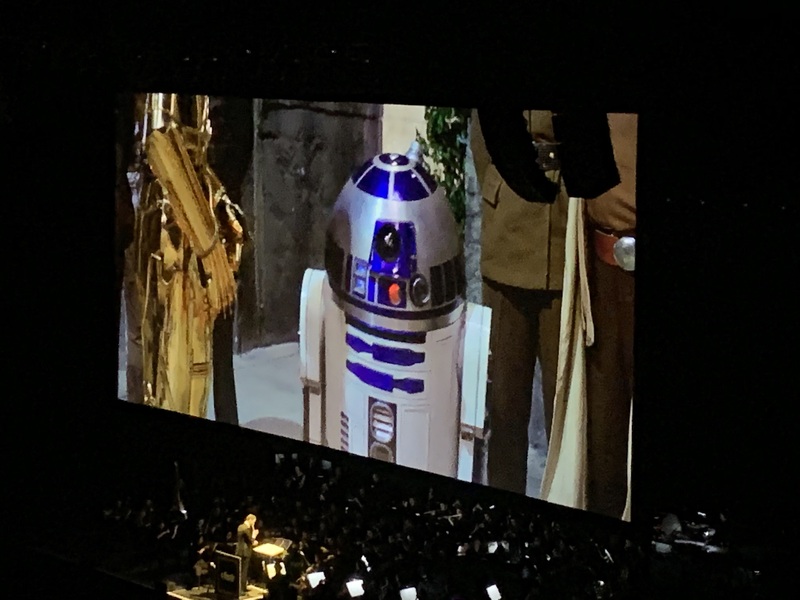 After introducing himself to the audience he proceeded to say ‘This is Star Wars’ and he wasn’t wrong. 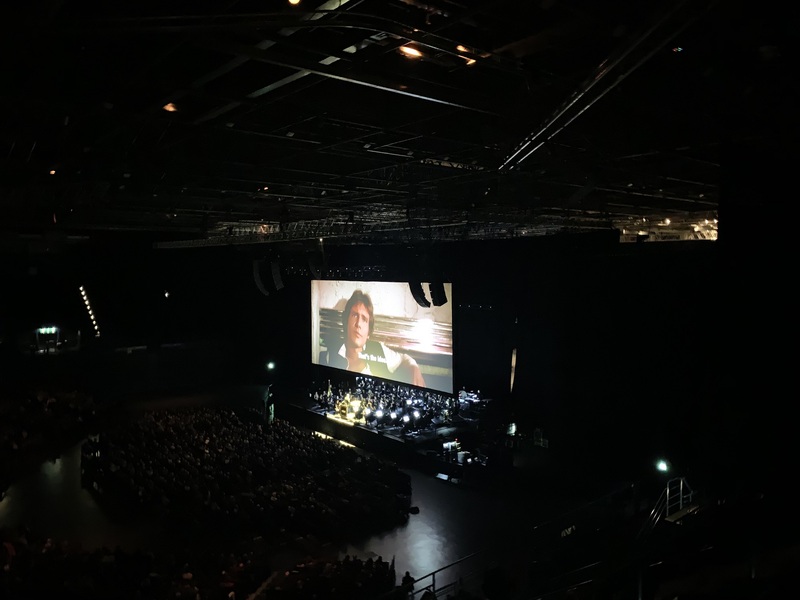 A familiar drum beat, and fanfare accompanied by the 20th Century Fox searchlights was greeted with a resounding cheer from the audience. 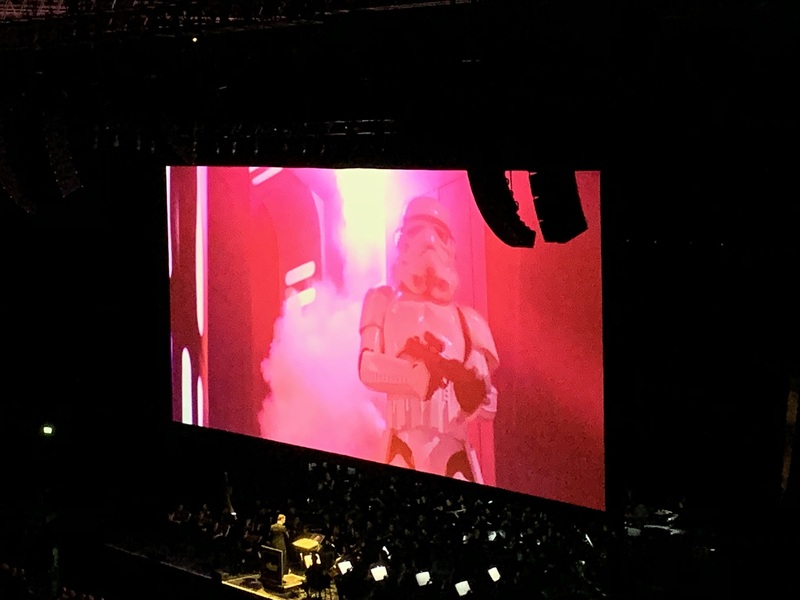 It was a real goose bumps and hair standing up on the back of the neck experience to start the performance. 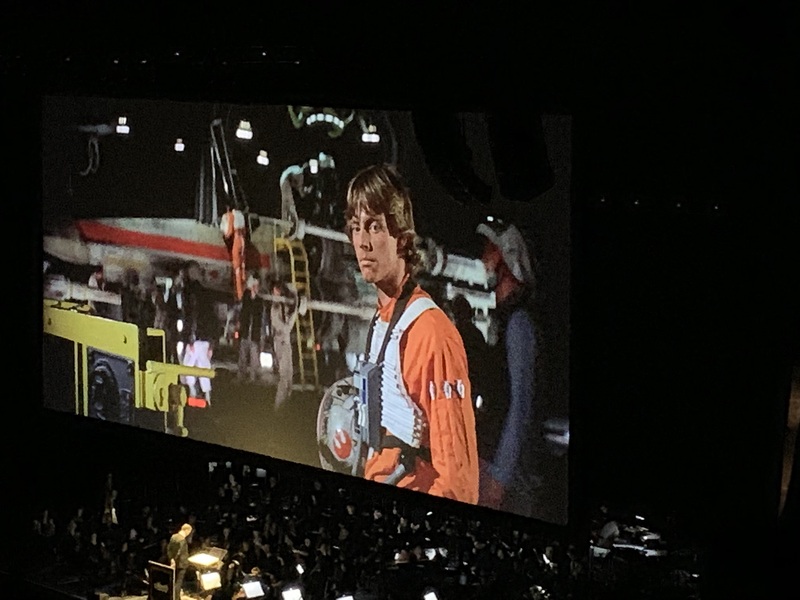 The audience cheered, gasped and laughed in all the right places and it felt like it was the first time we’d all seen the movie. 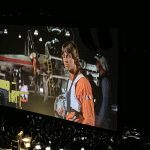 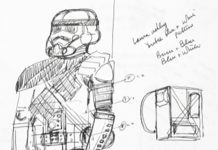 Time flew by and before you knew it the Millennium Falcon was being pulled into the Death Star by the tractor beam and we were into a good old-fashioned intermission in the proceedings. 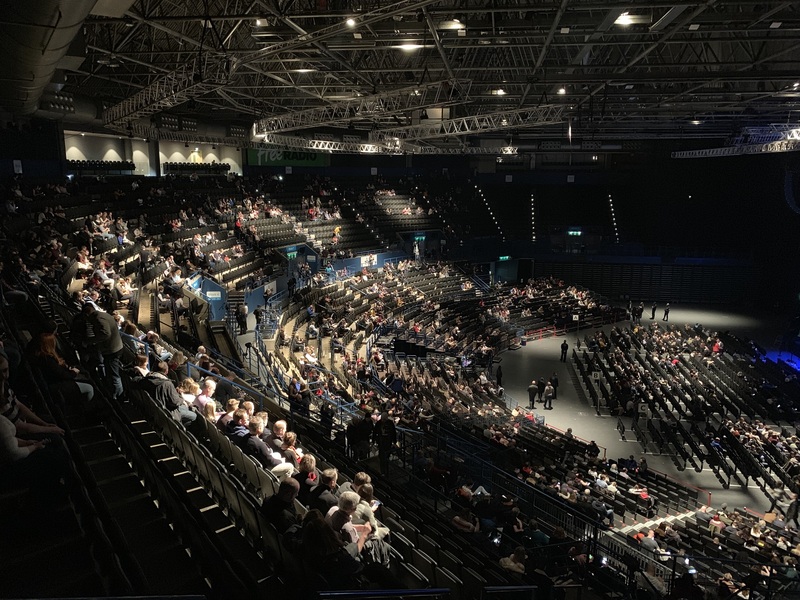 Some 20 minutes later we were all back on the roller coaster for the rest of the ride. 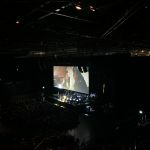 David Mahoney the conductor had left the stage during the first half of the performance, but thankfully the medical staff at Arena Birmingham had managed to patch him up for him to continue. 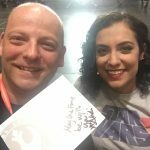 A true ‘the show must go on’ moment. 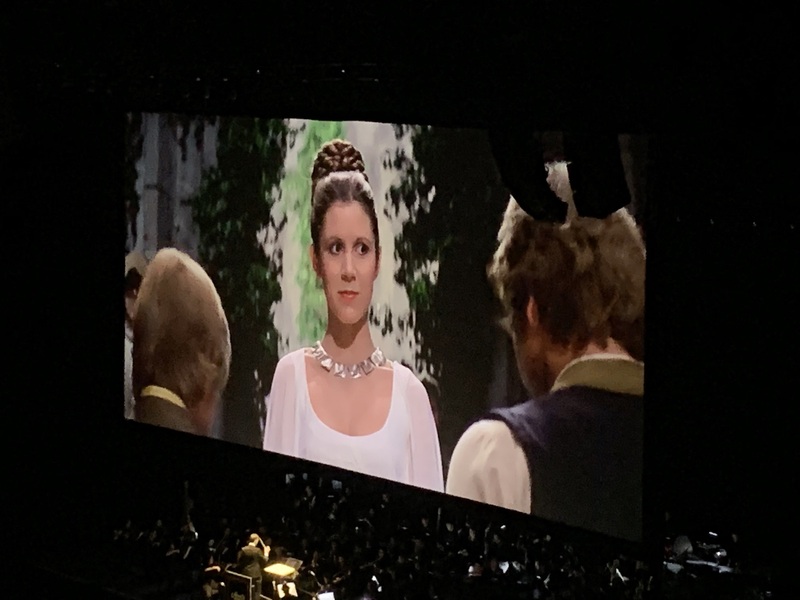 The ending of the credits was greeted with a standing ovation. 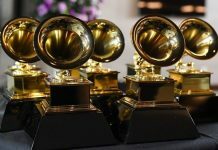 Much deserved for the orchestra whose performance was flawless. 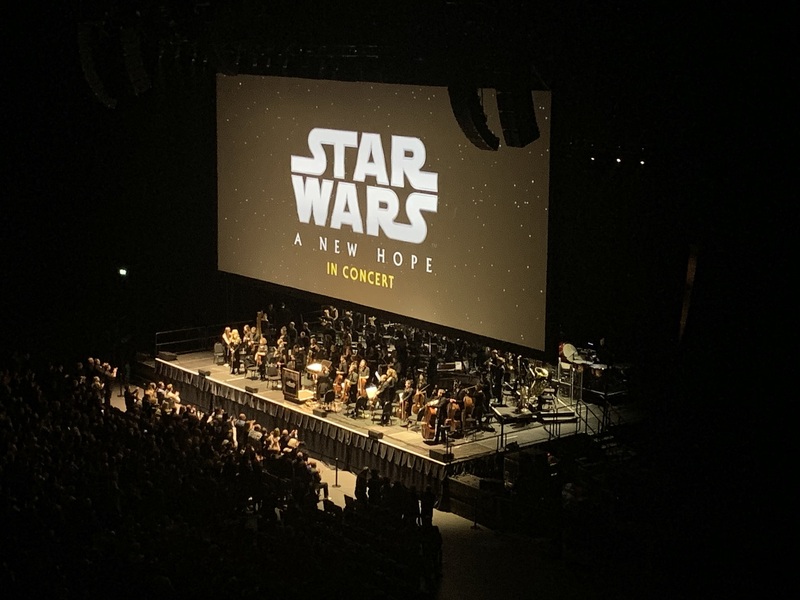 Every mark was hit, and every piece of music was perfectly executed. 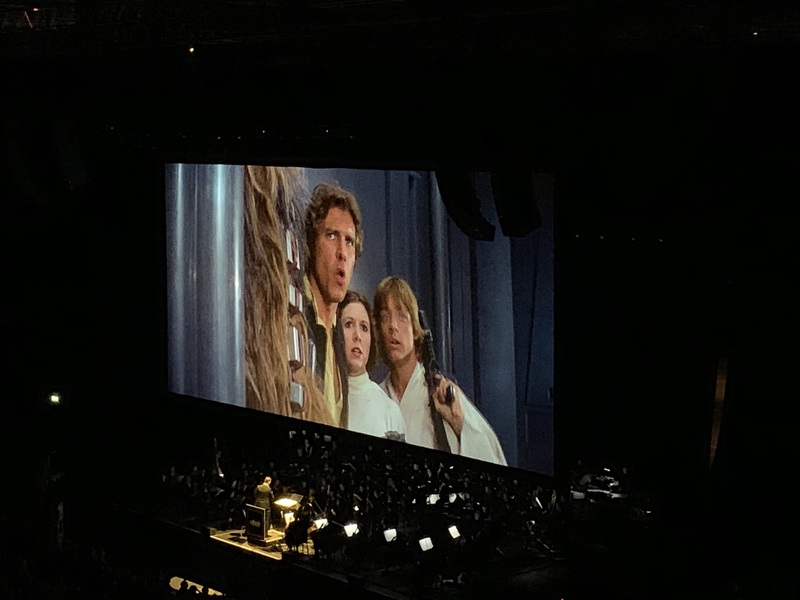 In fact, at times it was too good as I forgot that the orchestra was there and had to remind myself. 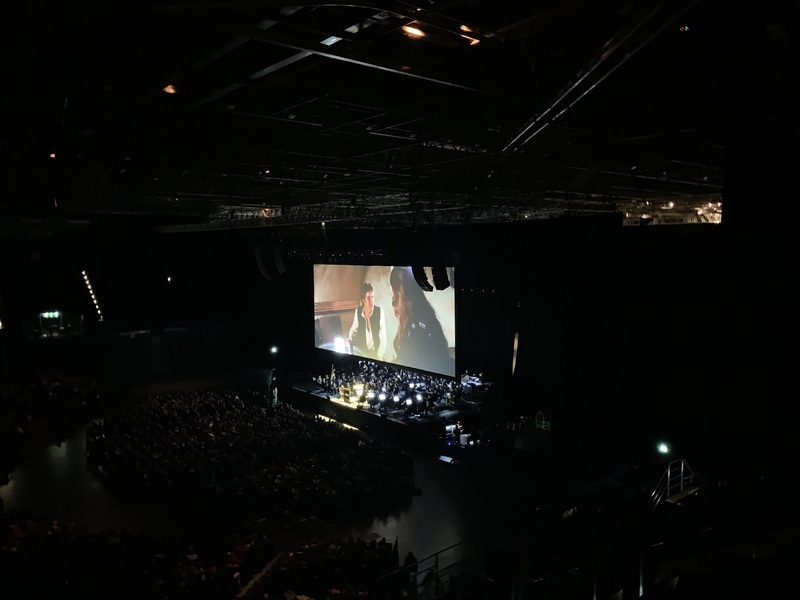 This environment brought the movie to a different level. 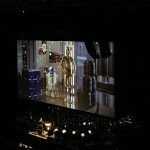 With the music and audio separated, the special effects soundtrack to the film also went to a different dimension. 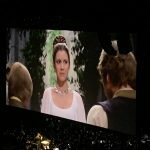 In all the times I’ve seen the movie, I have never heard the medals presented to our heroes by the Princess clank off her jewellery before. 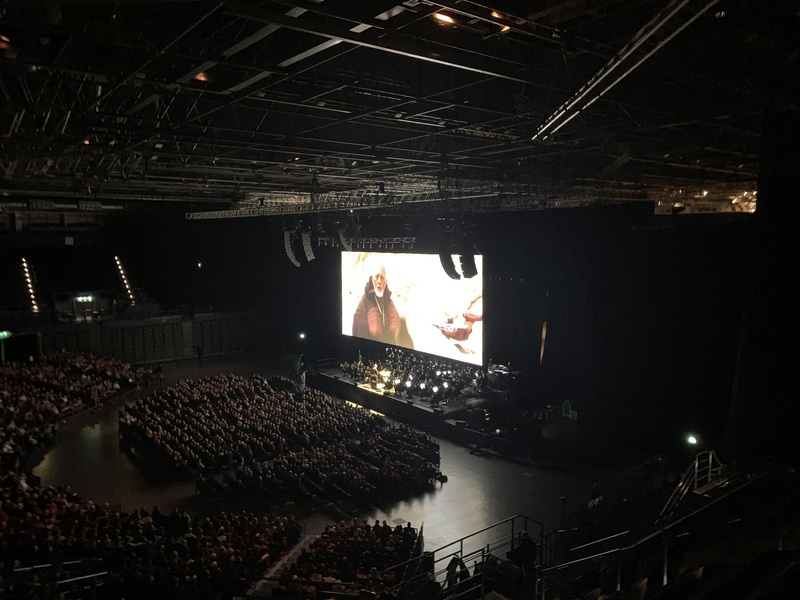 The UK tour is now nearly over, but if you are due to see it, you will not be disappointed. 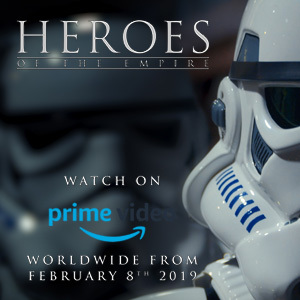 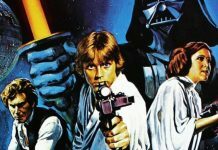 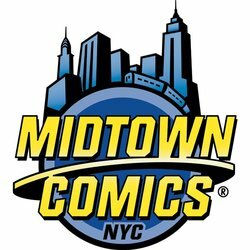 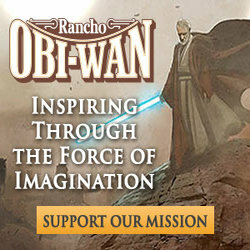 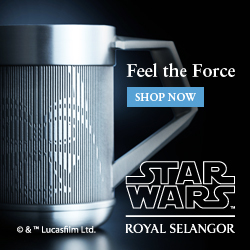 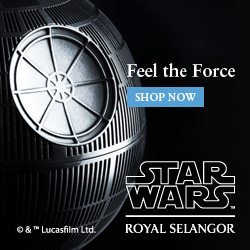 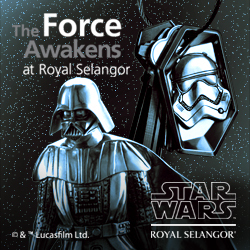 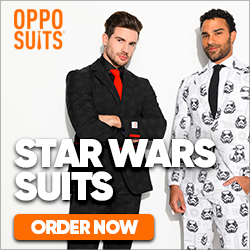 A great experience for any Star Wars fan or for any avid movie goer. 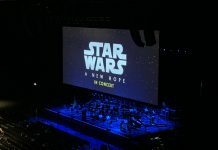 I just hope that The Empire Strikes Back, Return of the Jedi, well all the Star Wars movies are on the list of concerts in the near future.